Federal Bill to Require Report on State-Level Legalization Filed. Led by Rep. Tulsi Gabbard (D-HI), a bipartisan group of representatives on Tuesday filed the Marijuana Data Collection Act, which would direct the Department of Health and Human Services to work with other agencies to study "the effects of state legalized marijuana programs on the economy, public health, criminal justice, and employment." The measure has not yet been assigned a bill number. 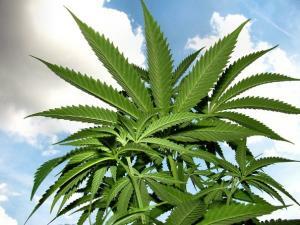 Oklahoma Marijuana Initiatives Unlikely to Qualify in Time for November Ballot. Proponents of a pair of initiatives, State Question 796 to legalize medical marijuana via a constitutional amendment, and State Question 797 to do the same for recreational marijuana are up against a ticking clock and will likely not be able to get the measures on the ballot this year. Secretary of State James Williamson said Monday. Circulators have until August 8 to hand in signatures, but under state law, the initiatives must be approved no fewer than 70 days before the November election. It normally takes the state about 60 days to verify signatures, and that August 8 deadline means there are only 69 days before the election. Also, any challenges to the initiatives could delay them even further. If they don't make the November ballot, a special election is unlikely and they would then appear on the November 2020 ballot. Michigan Appeals Court Rules Freshly Harvested Marijuana is Illegal Under State Medical Marijuana Law. In a bizarre ruling, the state Court of Appeals held Tuesday that marijuana harvested but not yet fully dried is not "usable" and thus not covered by the state's medical marijuana law. That means a person can be arrested for having it even if he or she is a licensed grower. Oklahoma Lawmakers to Begin Working on Medical Marijuana Rules Wednesday. A bipartisan group of 13 legislators is set to begin working on recommendations for medical marijuana regulations on Wednesday. The group was formed after the state Health Board created an uproar by adding two controversial rules, one barring the sale of smokeable medical marijuana and the other requiring the presence of a pharmacist at dispensaries. Canada Pot Arrests Drop to Record Low. The number of people charged with marijuana offenses has dropped to the lowest level this century. The 13,800 arrests in 2017 were less than half the 28,000 people arrested in 2011. Police said the reason was twofold: Police have been concentrating on the opioid crisis, and, as legalization nears, they have been exercising their discretion and not bothering to arrest people for pot anymore.